For industries involving large-scale heavy vehicles, Cranetech’s range of Tyre Service Trucks by Stellar Industries is an essential addition to the service fleet. Stellar Industries have been producing high-quality tyre handlers for over two decades, starting from humble beginnings with the hydraulic hook-lift. Since then, they have produced a wide range of different models of tyre handling equipment as well as tyre manipulators. The Stellar 9000 Large OTR (Over-The-Road) Service Truck is a hydraulic tyre handler that can safely lift up to 2300kgs with a maximum clamping span of 2790 metres. The unit also has 285 degrees of body rotation and 140 degrees of articulation, pad rotation and radio remote control. This allows the operator to work in a variety of conditions while still working in a safe, efficient manner. The variation of clamping distances gives the 9000 OTR series the ability to service fleets with small to medium sized OTR tyres. 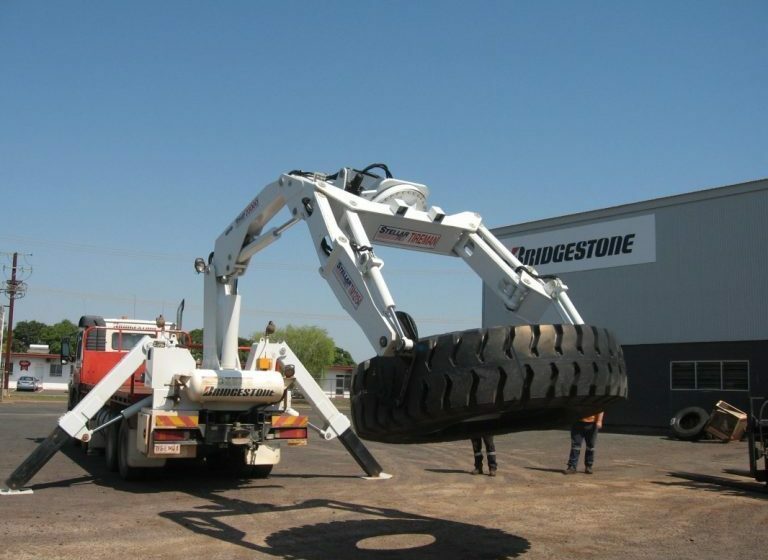 Cranetech fitted its first Stellar OTR 9000 Tyre Handler in 2005. Due to the quality, strength and reliability of the product sales have continued to grow, indicating that it is a popular choice in today’s market. Stellar Tyre Trucks use state-of-the-art design and materials to produce the most modern design tyre handlers available on the market. Visit our website or contact the team at Cranetech to see our range of Stellar tyre handlers.